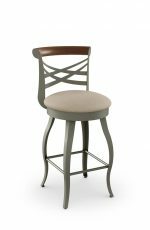 French Country bar and counter stools are very popular for a reason — they give your room a soft and welcoming appeal with a sense of old world style. 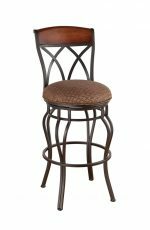 What conveys “French Country” style? 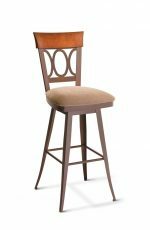 This style of furniture is known for its beautiful woods, including: walnut, olive, pear, and cherry. 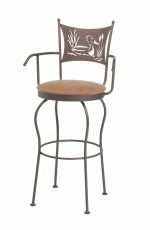 Select metals are mixed with these woods, especially wrought iron. 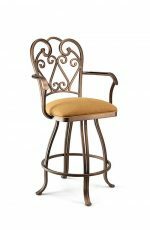 These pieces enhance a room’s metal accessories, such as wrought iron wall hangings and ornate light fixtures. 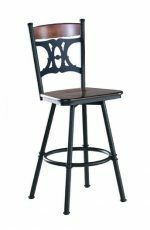 Furniture with this classic style is at home with many types of decor, including contemporary, country, and oriental settings. 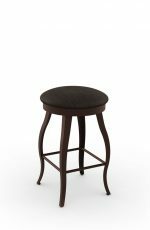 What are the features of French Country stools? 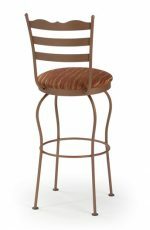 French Country bar stool designs feature ornate curves that draw the eye and create a sense of romance. 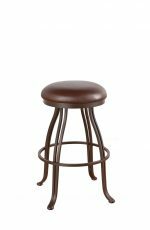 The legs of the stools tend to be curved and flared. 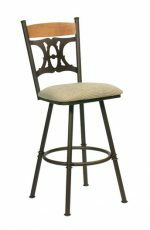 They can also be made with distressed wood, distressed metal or a combination of the two. 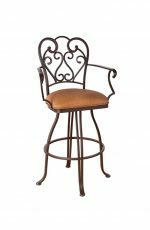 Wood stools often have straight legs and a curved design on the back, achieved through fine metalwork accents paired with wood. 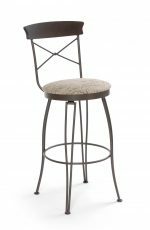 The combination of metal and wood creates an intriguing two-tone look. 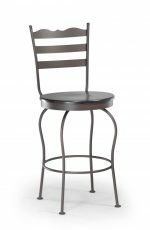 Metal is often finished with a weathered, antiqued look. This is achieved by painting a base layer of gold or silver, and then rubbing it with another color such as black or dark brown. 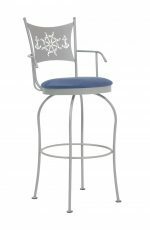 The metal elements of our French Country barstools are powder coated, which is a long-lasting finish that doesn’t chip or wear off easily. 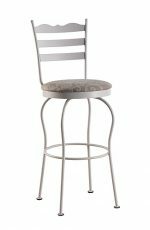 If you have stainless appliances in the room and you’d like to highlight the color of the stainless steel, choose a metal French Country stool with a nickel finish. 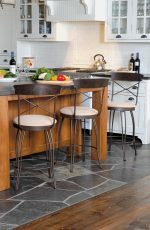 If you’d like to highlight brown flecks in your stone countertop, add a brown rub to the nickel. 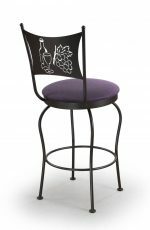 These are just a few ways to customize your french country bar stools. 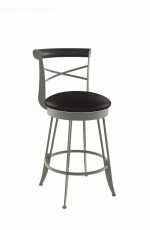 On each stool page you can browse plenty more options. 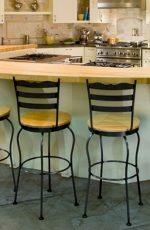 If you have a lot of wood in your kitchen or home bar, you can balance the wood with the metal of a french country stool. 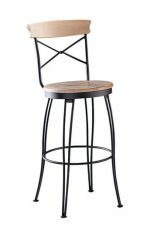 For instance, if your cabinets and floor are wood, then break up the room with metal-frame or metal-accent stools. 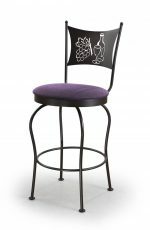 They give your room depth and interest, and also brighten the space and add color! 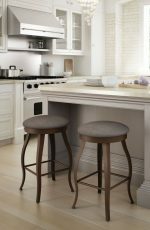 French Country stools add flair to traditional kitchens. 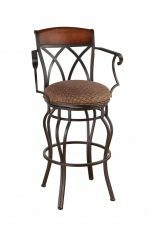 You can add french country furniture to contemporary or traditional rooms and they almost always look great. 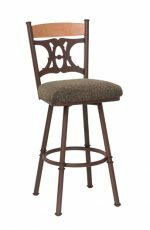 You can add pieces big or small – an entire bar, a set of counter stools, or just wall hangings and small accessories. 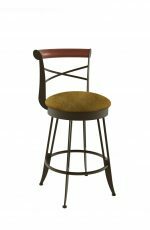 You’ll find french country bar or counter stools in our Amisco and Trica collections. 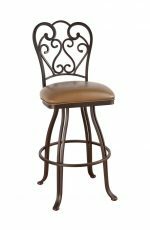 Look for stools with curly, ornate designs and remember — you’re only limited by your imagination! 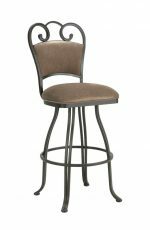 Send us a picture of your kitchen or home bar and we will gladly help you choose the perfect colors and styles! 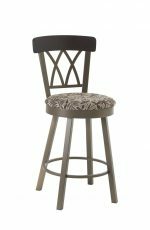 Click here to send us a note or call us at 610-737-5693.